A patient presents with decentration of an in-the-bag IOL. 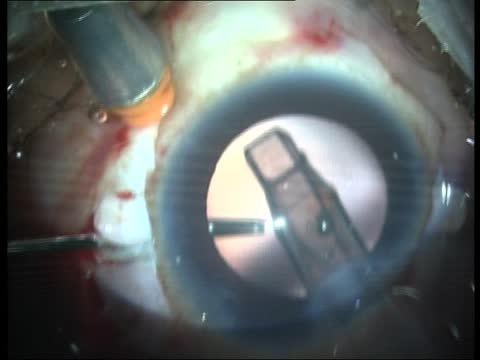 Jason Jones, MD, shares his approach to IOL exchange with an intrascleral haptic fixation without dissection of the conjunctiva or suturing of the lens. During IOL explantation, the serrated edges of the Ahmed Micro-Graspers (MicroSurgical Technology) help hold to hold the IOL while it is cut. An EC3 PAL IOL (Aaren Scientific) is inserted in the eye and each haptic is externalized through the lumen of a needle. The distal end of the haptics are thermally deformed with a cauterizer to create a bulbed tip which securely fixates the haptic to the sclera.